Arrange all your memorial photos in Movavi Photo Manager. Don’t bother to create one event folder than move photos in one folder in system file explorer. 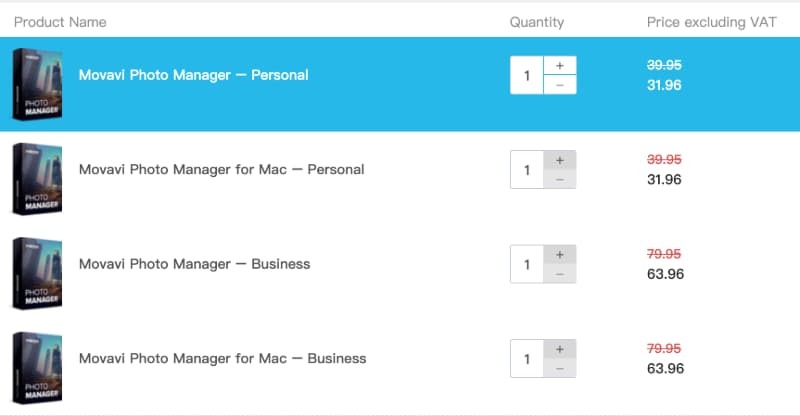 Just click a photo and Photo Manager will manage everything related to it. Your entire photo collection with file format like RAW, JPG, PNG etc. are managed here. Movavi Photo Manager is available for Windows and MacOS. It provides a 3 days trial to explore the features. After trial period you can buy it with reasonable price. Price of Photo Manager 39.95 USD, Photo manager plus editor price is 59.95 USD, and special software Photo Manager plus Photo Editor plus Slideshow maker price is 79.95 USD. Let’s check about the features of Movavi Photo Manager. 1. 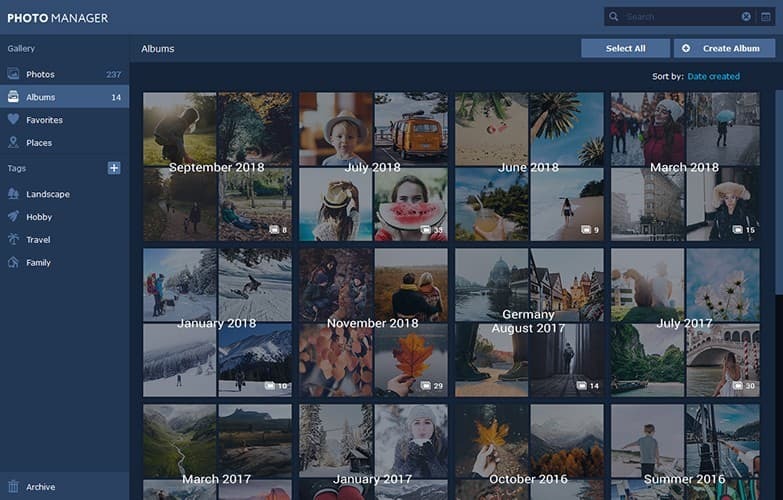 Organize Photos: It automatically organizes your stored photos with capture date and geolocation data. Tag a photo to search and navigate easily. 2. Edit Images: Edit photos in batch or individually. Crop as per given default sizes or do custom crop too, flip, and rotate images with a single click, straighten horizon directly. 3. View Photos: View images with Movavi Photo Manager. It is fast and reliable to view a photo gallery. 4. File Format: It supports almost all global used photo file formats. Some of that are RAW, JPG, PNG etc. As well as to export edited photo with various photo formats like BMP, DPX, JPEG, PGX, PBM, PMG, PPM, TIFF, TGA, and XBM. 5. Multilingual: Software is available in nine different popular languages of the world. All in all, go with the Photo Manager and build a complete gallery of your memory. 3. In general, the coupon can be applied for all products of Movavi.